CryoMax utilizes Whole Body Cryotherapy to provide a natural, safe, non-invasive and effective therapeutic treatment to aid in inflammation and pain reduction, athletic performance and recovery, as well as aesthetic and wellness benefits. Whole Body Cryotherapy (WBC) has been endorsed by many doctors and has been featured on the Dr. OZ show and The Doctors. Professional, as well as collegiate, athletes are incorporating this technology into their training and rehabilitation programs as seen on ESPN and The Golf Channel. With WBC, the body is exposed to ultra-low temperatures (-210 to -250 F). 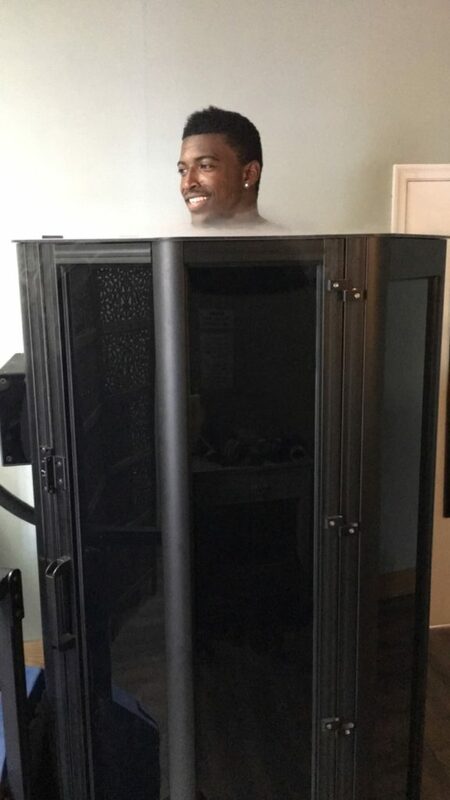 The patient steps into the chamber for a duration up to 3 minutes, which lowers skin temperature and stimulates the release of pain reducing endorphins. The body’s core temperature remains unchanged as the blood rushes to the core to protect the vital organs. The result of this extreme cold is rapid vasoconstriction of the blood vessels followed by rapid vasodilation. The blood that returns to the body is highly oxygenated, which helps the body repair and strengthen itself as well as increase competitive stamina. 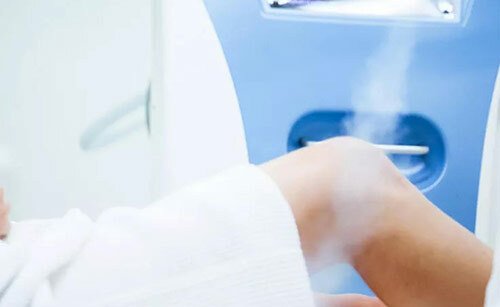 Whole body cryotherapy (WBC) originated in Japan in 1978 for rheumatoid arthritis. This treatment expanded into Poland by scientists who began using it as a physical therapy tool. These scientists realized that not only was WBC an effective treatment for rheumatoid arthritis, many other areas of the body responded to this therapy with positive results. Achieve your body goals with Cryoskin! 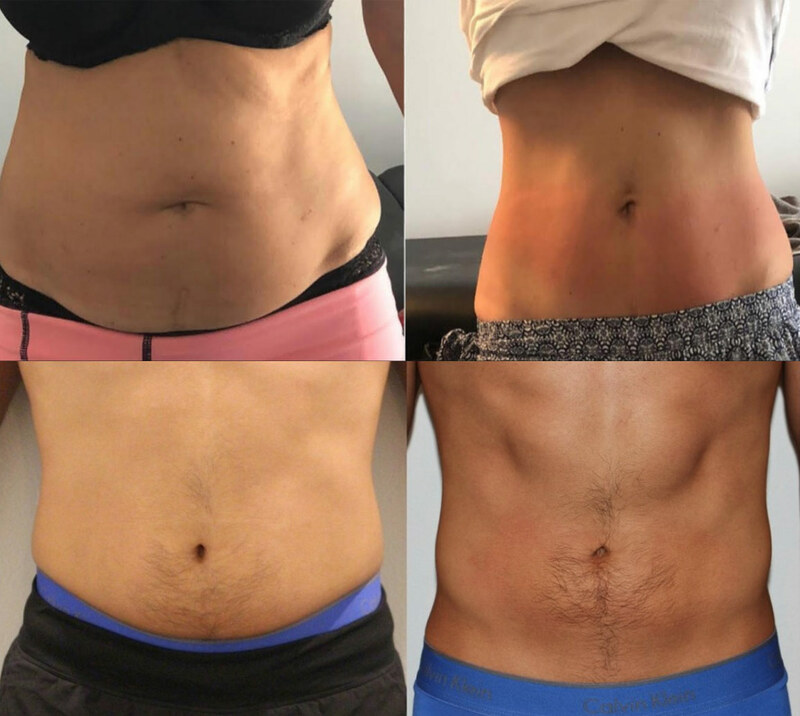 With the latest in advanced technology from Paris, Cryoskin offers the most advanced non-invasive treatment solutions for slimming, toning and skin tightening. This 28 minute non-invasive treatment is the first of its kind in the US. The treatment consist of a 3 phase thermal shock that will help naturally destroy fat cells. Whether you’re looking to lose fat on your stomach, thighs, arms, back or double chin, this is the solution for you. Two to five sessions are suggested for optimal results. The lymphatic system takes 15 days to complete an entire cycle. 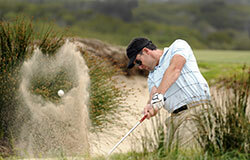 Results will improve over the two weeks following the session. Additional slimming sessions can be completed two weeks after a treatment. If you’re looking to remove cellulite or slow down the aging process this is the treatment for you. This 20-minute cold therapy treatment will help improve your microcirculation and speed up your metabolism, which results in higher collagen production. 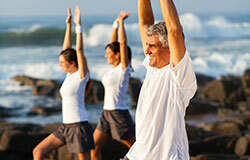 Toning sessions can be done once per week. 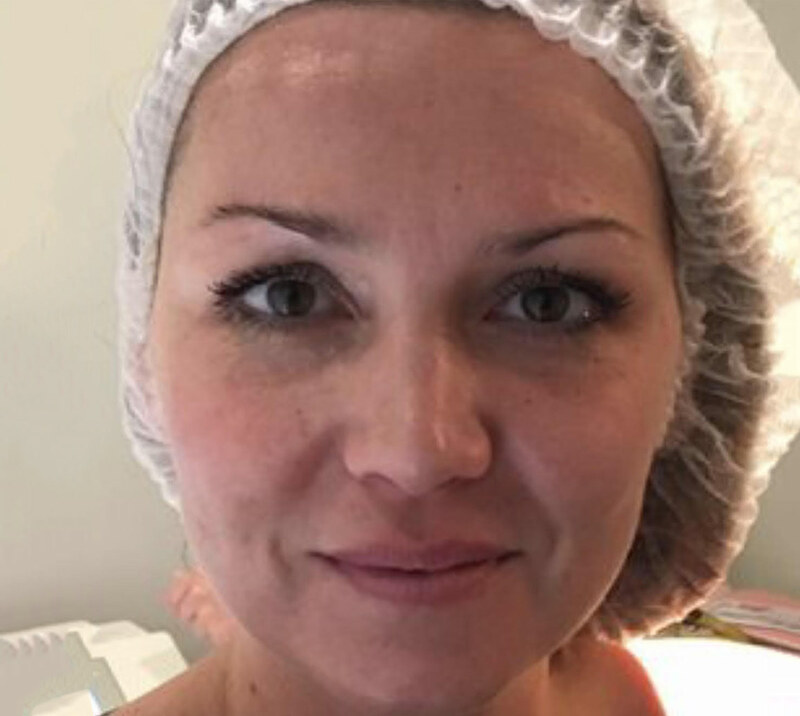 Non surgical facelift! Results immediately after one session. Dramatic results that last weeks. We can’t stop the aging process, but the Cryoskin Facial helps to stimulate major collagen production, lifts the face, and visibly reduces wrinkles. Perfect right before a major event like a wedding or other event. Local cryotherapy can be used to target specific areas delivering the benefits of cryotherapy locally. Clients frequently combine this treatment with Whole Body Cryotherapy to treat specific problem areas. Temperatures as low as -240 degrees F can be reached by our devices. Treatments take about 3-5 minutes. 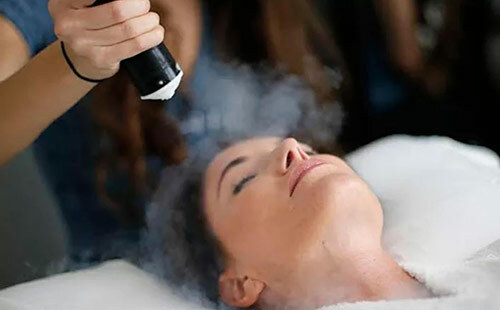 The Cryofacial uses pressurized liquid nitrogen vapor to supercool the face, head, and neck areas. This unique and beneficial treatment stimulates the production of collagen and decreases pore size in the treated areas. The skin becomes tighter as blood circulation is improved leaving you with healthier, even-toned skin. The Cryofacial is an eight minute treatment that is all-natural and non-invasive. Cryofacials are perfect for big events such as weddings and photo shoots as they give you a more youthful and brighter glow.